Today we share with you a rather fab and blooming delicious Valentine’s cake by baking genius Natasha from Nevie-Pie Cakes! Just in time for the weekend, so get your apron on and start baking for your sweetheart!! Are you looking for a fabulous recipe, so you can make a delicious treat for your special dreamboat? Or are you going to be single on Valentine’s day and need a lip-smacking good cake to cheer you up? I have a tasty spicy cake you can make, as well as an easy topper to express your love! Well, first things first. I shall start with the cake. For well over a year Mr Lemon Drizzle (my very own dreamboat) has been asking me to make him zingerbread (made-up-name). He described it as gingerbread with lime, and pontificated about how it would amaze the world with it’s awesomeness! After he has been pestering and pestering me for what feels like forever, I have been worn down. So, I decided to make it for him, as a Valentine’s Day treat. I then made a syrup of rum, lime and sugar to brush onto the cake and I filled it with lime buttercream. You can download the full recipe here. 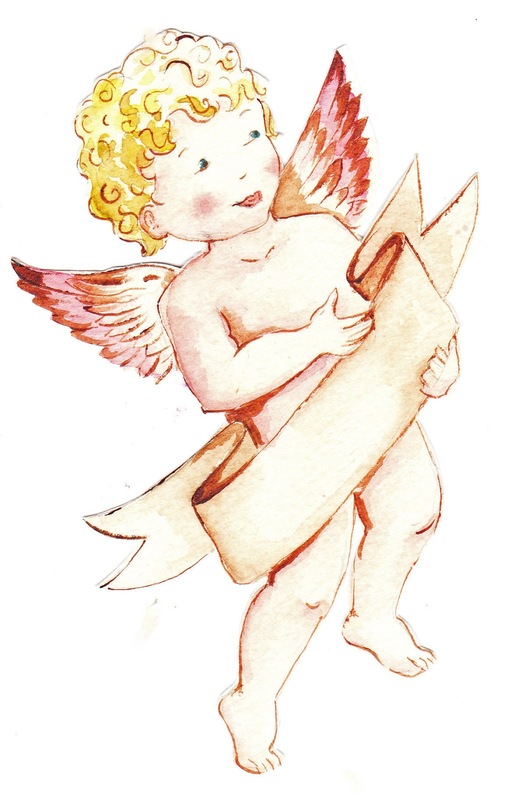 As you will be too busy romancing to decorate your cake in any complicated way, I have painted a cupid for you to add. Just right click onto the picture below or click here to download the cupid. Print him off onto card and then cut him out and attach a cocktail stick to the back. Don’t forget to add your own message. Enjoy!